UK engineering specialists are currently working on new engine technology that they say is already cutting CO2 emissions by around 20% – aiming to secure a longer-term future for the internal combustion engine and boosting the benefits of plug-in hybrids. 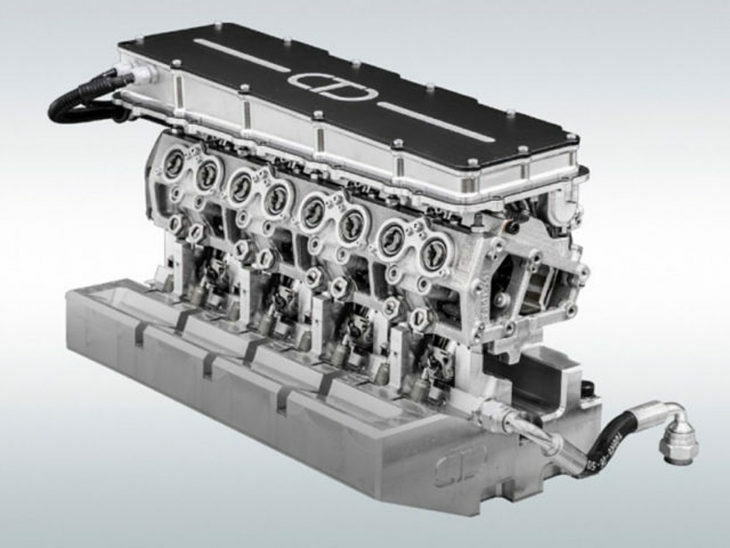 Work by Cambridge-based Camcon Auto – including development with early investment partner Jaguar Land Rover – has led to the development of an engine that eliminates the camshaft and replaces it with a patented Intelligent Valve Actuation (IVA) system. The result is an engine that is much lighter, smaller, and more importantly produces much lower emissions and better fuel consumption; the firm says the engine offers diesel fuel consumption with petrol emissions performance, and is expected to be able to exceed all upcoming emissions legislation. According to CEO Danny Chapchal, by removing the camshaft and replacing it with actuators the company have been able to design a much smaller and lighter cylinder head. He also said the elimination of so many components reduces the potential points of failure within the engine and makes the adoption of the IVA technology virtually cost-neutral for the engine manufacturer. The announcement comes just weeks after Bosch published details of its ‘breakthrough diesel technology’ that can reduce the NOx generated under RDE cycles to 13mg/km, down some 92% on the current limit of 168mg/km and still 90% lower than the more stringent 120mg/km that will be required by 2020, and according to Camcon, could help breathe life into the internal combustion engine. The firm has already completed well in excess of 1,000 hours using the technology on Jaguar Land Rover’s latest Ingenium petrol engine and this IVA-equipped engine has now been put into a Jaguar Land Rover existing model to demonstrate and test the engine in a roadgoing environment. Using the IVA engine instead of a traditional hybrid or plug-in hybrid (PHEV) would also help overcome issues with PHEVs using the stored electricity power first or only at lower speeds, meaning the IVA engine could be set to kick in and provide power when needed, via geo-locators cut the engine when a vehicle enters a zero-emission location. However, Chapchal added that the original focus was on helping to secure a future for internal combustion engines. “The IVA engine was originally designed to cut emissions for existing ICE powered vehicles the fact that it produces a smaller, lower emitting and better performing engine for use in hybrids is just an added bonus,” he continued.